Sciatica is a lower back pain that continues down the leg and sometimes into the foot. This pain is caused by a pinched or irritated nerve in the lower back called the sciatic nerve. There are many things that could cause sciatica. If you think you are suffering from sciatica make an appointment with your doctor to discuss the next steps and treatment options you should take. If you are suffering from sciatica here are some things that could have caused it. This list may help you in the future avoid the pain associated with sciatica. A slipped disc may cause you to have sciatica. This is actually the most common reason people will suffer from sciatica. This is also known as a herniated disc. This is basically a slipped disc pinching on that nerve. Basically, if you lift something heavy and move the wrong way this can cause a slipped disc. Another cause of sciatica is lumbar spinal stenosis. The older you get there is a chance the bone in the lower back can overgrow and then put pressure on that nerve, causing sciatica. If you have pain on both sides of your back, that is a sign you have lumbar spinal stenosis. A third cause of sciatica is piriformis syndrome. It is possible the piriformis muscle traps the nerve in the buttocks area, then causing sciatica. If you have osteoporosis there is a chance you will suffer from sciatica. This is because there is a chance a bone could fracture because your muscles are so weak causing the nerve to become pinched. Also, when women are pregnant there is a chance they can suffer from sciatica. There are other age-related reasons you could be suffering from sciatica. Arthritis also can cause sciatica. There is also a chance that sciatica is from some sort of disease or illness, like a tumor. Do not be alarmed if you are suffering from sciatica though, because this is very rare. There are other simple overlooked causes of sciatica as well. Even something as simple as carrying a wallet or some sort of heavy object in the back of your pants can cause sciatica. It is always a good idea for humans to get adequate exercise to maintain a healthy lifestyle. If you do not and carry excess weight this can cause sciatica as well. Also, if you live a sedentary lifestyle, this can cause sciatica as well. This is why maintaining a healthy diet and lifestyle are very important. If you think you have sciatica contact your doctor right away to set up an appointment. If you are not sure which doctor to contact, visit Boulder Neurological and Spine Associates. Their surgeons are some of the best trained in orthopedic spine surgery and will be able to recommend the best course of action for you to take. They are based in Colorado and they treat all types of spine-related problems including sciatica. 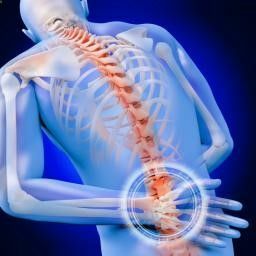 They also perform all sorts of spinal surgeries from non-invasive kinds to very complicated surgeries. Comments Off on What Causes Sciatica?